﻿ Book Flamboyant Hotel & Villas (St Georges) - 2019 PRICES FROM $242! 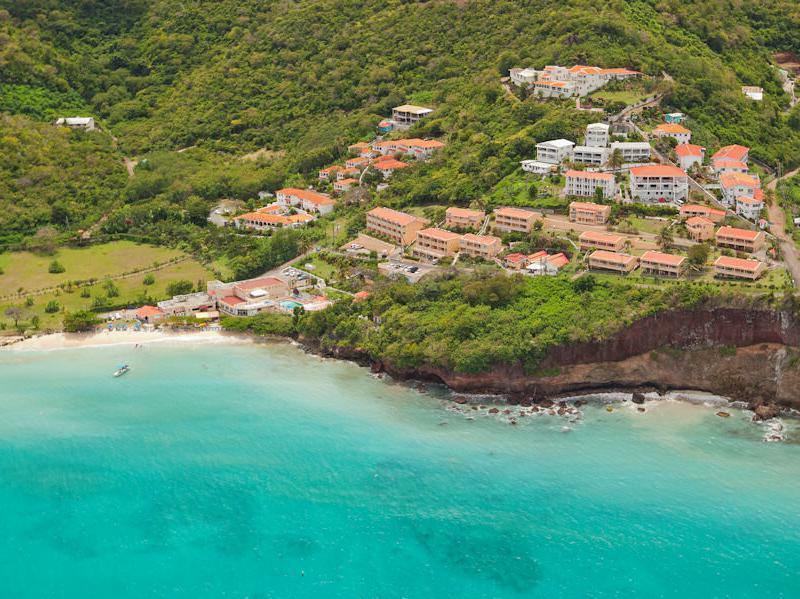 Set on Grenada Grand Beach, Flamboyant Hotel & Villas offers amazing views of Grand Anse Bay. It features an outdoor swimming pool, gym and accommodation with balconies. Each air-conditioned room, studio and suite has simple, attractive décor. All accommodation comes with cable TV, a fridge and free wired internet access. A range of Caribbean cuisine is served in the Flamboyant’s beachside restaurant. There is also a bar and a poolside lounge with jazz music. The resort offers a range of massage and beauty treatments. Guests can make use of free snorkelling equipment hire. Annandale Falls are a 20-minute drive from the hotel, while Grand Etang Forest Reserve is 15 km away, Point Salines Airport is just 10 minutes’ drive from the Flamboyant.